In every sector, organizations are looking for breakthrough ideas and the opportunity to create new digital businesses. No matter the industry, companies are looking for new ways to resonate with, and deliver value to, their customers. Everyone is grappling with how to innovate in the digital economy. And companies are taking various approaches and using a variety of innovation frameworks to assist in the process. 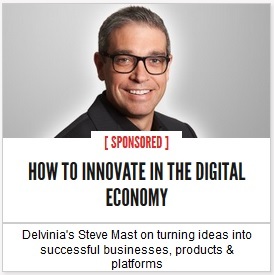 In a Q&A for Marketing Magazine, our President and Chief Innovation Officer Steve Mast talks about what he sees happening in the digital innovation space today and the work his team is doing to realize Delvinia’s innovation agenda. To read the article in its entirety, visit the Marketing Magazine site.